Looking for a friendly qualified professional plumber? 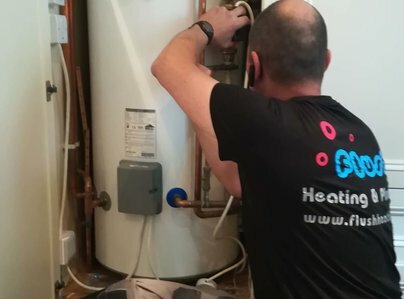 At Flush Heating and Plumbing we are a local team of South West London based plumbers, Vaillant and Ideal boiler approved, who are ready to help. 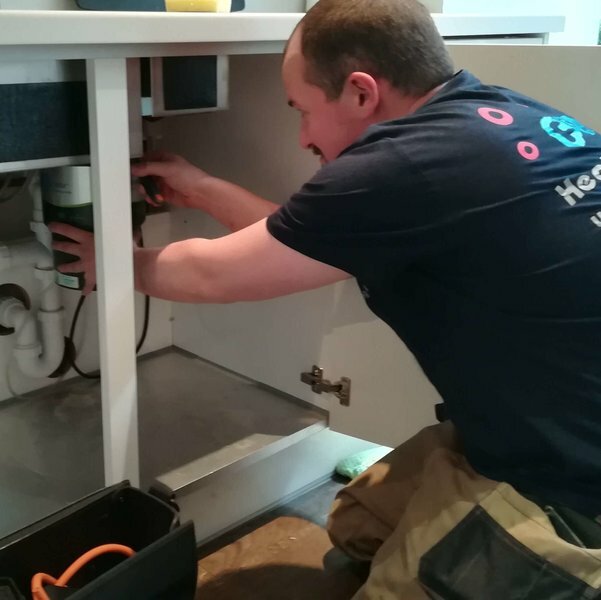 Whether it's a leak, looking to fit a new tap, a boiler that is on the blink or looking for a new bathroom, we can help. 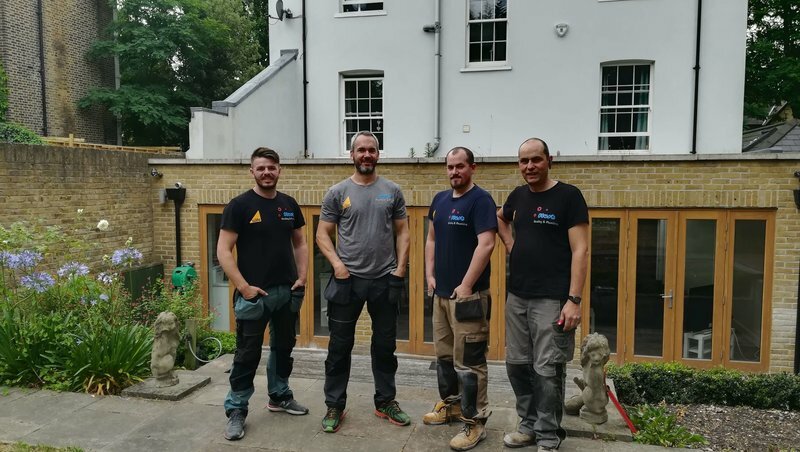 From Balham to Brixton, Battersea to Barnes, Chelsea to Clapham, our friendly trusted team are always on hand to help. Need a quote? Just give us a call or visit our website. 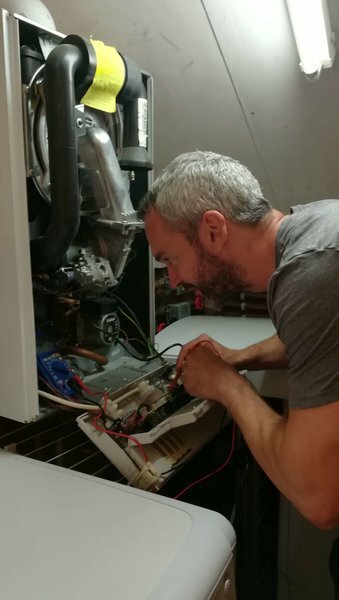 Gareth and his team installed a new combi-boiler at my Victorian property in Clapham. The team arrived on schedule, were highly courteous at all times and kept the property in a tidy and ordered fashion throughout. The installation proceeded with a minimum of fuss and was completed to the agreed specifications, deadline and budget. Having obtained a number of quotes, I found Flush to be very competitively priced. Just prior to the installation, I noticed that an outside water pipe had cracked near to where the boiler flue was to be installed. I mentioned this to Gareth and asked for a quote to repair it. Instead Gareth repaired it free of charge, even though he had to pop back the next day with the relevant parts/fittings, highlighting the importance Flush clearly place on providing great customer service. Gareth provided me with a written quote to fit my new combi boiler and he kept to it. His men arrived on time and did not keep me waiting. They covered my floor with dust sheets to keep my carpets clean. They took away all the old loft tanks, cylinder and pipes, and left the house clean and tidy. Gareth came back after a few days do check it was OK and make adjustments to my taps and radiators. I would be happy to recommend his company to a friend. A problem on Friday afternoon that if not resolved would have left us without water over the weekend. When I contacted Flush Heating and Plumbing they promised a plumber that afternoon and he duly arrived and fixed the problem on Friday night. He was efficient and professional and explained in lay mans terms what he was doing. I would have no hesitation in recommending Flush Heating and Plumbing. Vaillant service, with whom we have a service agreement, serviced our boiler, but because it needed some brackets they turned the gas off and shut down the boiler. They said they didn't do work within the service agreement, we'd have to find someone else to do it. Not content with turning said boiler off at the isolation valve, the engineer had cut out about 8in. of the gas pipe and taken away both that and the Vaillant nut. Flush arrived the next day, assessed and subsequently did the repair and, having had to buy a new Vaillant nut for the boiler, replaced that and the piece of missing gas pipe and completed the job quickly and efficiently. No more Vaillant for us - Flush can do our boiler servicing and work in future. Whilst it was not an emergency Gareth came back to me very quickly to arrange a date. His man arrived on schedule and was polite and professional throughout my contact with him. He was also tidy and completed the paperwork required to maintain the guarantee on my boiler without me asking. Excellent service and I would recommend Gareth and his team. Efficient, excellent communication and price as quoted. I contacted Gareth and his team on a Sunday and he was quick to reply. Within 24hrs we had a new boiler installed. His team came exactly when they said they would and worked very professionally. We had to tidy up a little after they left but they was minimal considering the mess created by the removal of our old boiler. Their price was competitive and I appreciated Gareth’s excellent advice on the best boiler to install. Very pleased with the company, fast friendly and efficient. Agreed dates, time and price and completed work as promised. 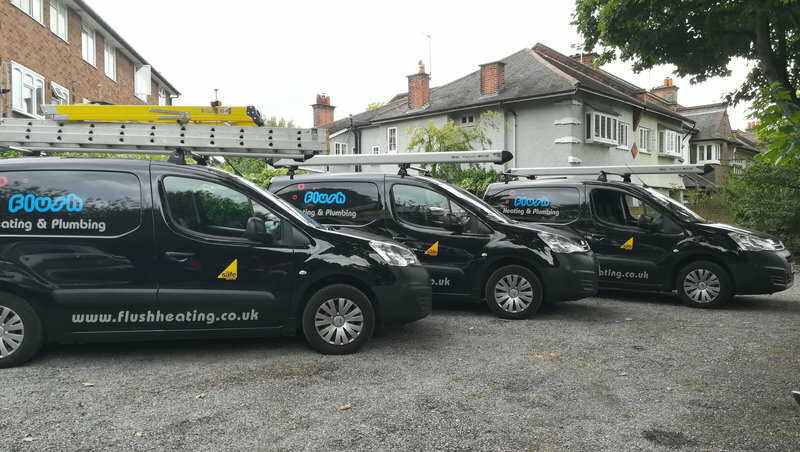 The work was completed and checked, it is not the first time we have had work done and I would recommend them for any heating/ plumbing work. I would definitely go back to them for any future work. 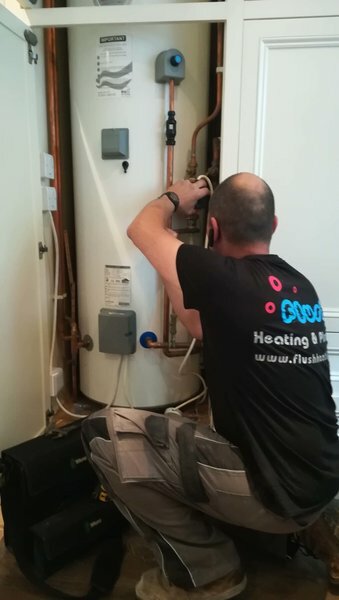 I was very satisfied with the recent service of my boiler by Flush Heating & Plumbing. This company was recommended to me by a friend and I've been using the company for the last 4 years since I moved to the area. Very good customer service from all staff - quick respond for emergency fixes, arrive on time, profession, knowledgeable and friendly. Highly recommended. We were very happy with our first use of Flush, came out and fixed a heating exchange problem in our bath that was effecting our hot water. Very glad we did as previous company has quoted to go through the wall to fix as could not be done via bathroom - doing it quickly and far cheaper was great. Also filed our cistern which we have continually had problems with - but no more! The firm responded quickly to my request a job on the heating boiler dropping round to take a look and then arranging the work shortly afterwards. A taciturn man did the job but quietly and efficiently with no fuss. Reasonable price and the company has a nice local feel.